One aspect of our research focuses on addressing human disorders. Our group has a long-standing interest in understanding neurodevelopmental disorders, including those relating to mental health. A great challenge is that these disorders often involve multiple genes, which can be difficult to identify. Understanding the causes of neurodevelopmental disorders is one of the greatest clinical challenges in brain health. Complex behavioral phenotypes and multigenic contributions make a broad range of approaches essential for defining molecular phenotypes and new treatments. 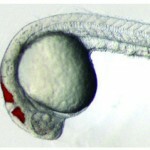 Our group established the zebrafish as a useful system for analysis of autism spectrum and other psychiatric disorders. We have focused on the schizophrenia risk gene DISC1 and on the 16p11.2 CNV that is tightly associated with autism spectrum disorders, schizophrenia, intellectual disability and other phenotypes, and Pitt-Hopkins Syndrome a rare monogenic disorder. The 16p11.2 region contains 25 genes, and genetic data indicate that two or more genes synergize in symptomatology. Our recent studies have defined multiple synergistic dosage sensor genes, which begin to construct an “interaction map” in this important genomic region. The work identifies crucial genes involved in disorders and opens avenues to define novel therapeutics. Our group also studies disorders of the brain ventricular system - cavities filled with cerebrospinal fluid (CSF) that form the ‘third circulation’. Correct flow of the CSF is likely crucial for normal brain development and function. Using a unique drainage assay, we identified Retinol Binding Protein in the CSF as essential for survival of brain cells. We propose that many proteins in the CSF play roles in brain health and disease. Ongoing analyses implicate abnormal CSF composition in neurodegenerative disorders. Craniofacial anomalies are frequent and may go awry frequently due to the many steps involved in setting up the face, and involve both genetic and environmental factors. 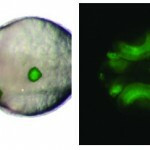 These steps may occur very early during mouth formation, and involve the Extreme Anterior Domain (EAD), a unique embryonic region that the Sive group named. The EAD gives rise to the mouth, nostrils and anterior pituitary gland. 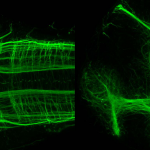 Intriguingly, our group also showed that EAD is a signaling center controlling development of the neural crest, cells that form facial cartilage or bone. Defects in the EAD may therefore lead to both mouth defects, as well as palatal and jaw defects, including cleft lip/palate. 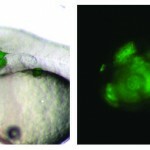 Understanding EAD activity in model organisms lends direct insight into human craniofacial anomalies.